Folk Art at Its Best! If you live in Houston, Texas or plan to visit, be sure to put the Beer Can House on your list of places to see. It is a folk art treasure! 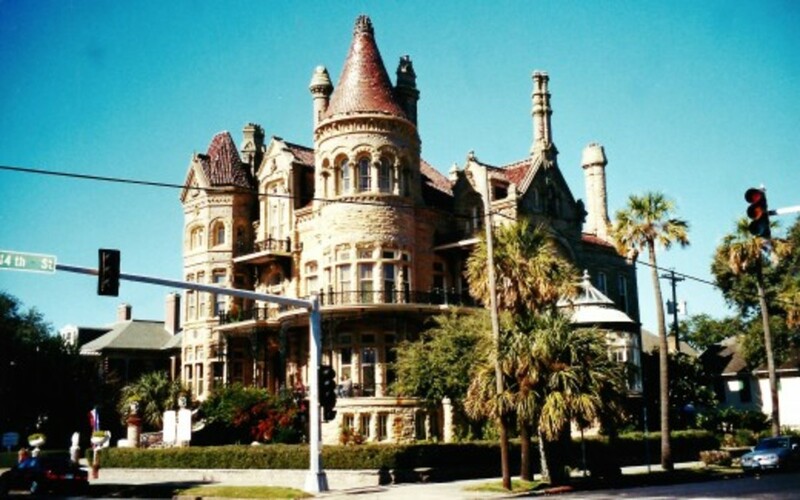 It was deemed to be the number one Houston landmark in 2010 by Click2Houston, which is one of our local television channels. The Beer Can House at 222 Malone Street has been drawing hoards of visitors ever since John Milkovisch, the owner of the property, started making eccentric embellishments to his property in what used to be a middle-class neighborhood. Suffice it to say that John liked his beer. He started collecting the empties of his six-pack-a-day personal consumption, collapsing them, and storing them in his garage (which eventually became his workshop). Milkovisch retired from the upholstery business for Southern Pacific Railroad and decided that mowing the grass and painting his house for regular maintenance was not something he enjoyed doing. So his creativity started with getting rid of his grass by putting down concrete and artistically placing thousands of marbles, stones, and other collected and found materials into the concrete for aesthetic reasons. This even included utilizing things like doorknobs! His neighbors were probably amused in the beginning but had no idea just how far this man’s ideas would continue to blossom and evolve. Quite the eccentric man—and possessed of a great sense of humor—it was reported that when he would go to the beach in Galveston, he would put a pipe fitted with a faucet into the sand and sit nearby eating his picnic lunch. He would lie in wait for visitors to try to get some water from the tap! Mr. Milkovisch started to overlay the boards of the house with flattened beer cans of every brand and description. It was a colorful mix of whatever happened to be on sale in the grocery stores. He did mix in a few soda cans for good measure, but the vast majority of his cans came from recycled aluminum beer cans. He started from the bottom up, and his wife kept admonishing him to stop, but stop he did not. Eventually, the entire house was covered with beer cans. The fence, mailbox, and sculptures in the yard (of every size and description) did not escape his attention. He was quite the craftsman and artist. One can often hear the house prior to seeing it, as the wind chime garlands made out of can tops and pulls make a tinkling sound when the wind blows. 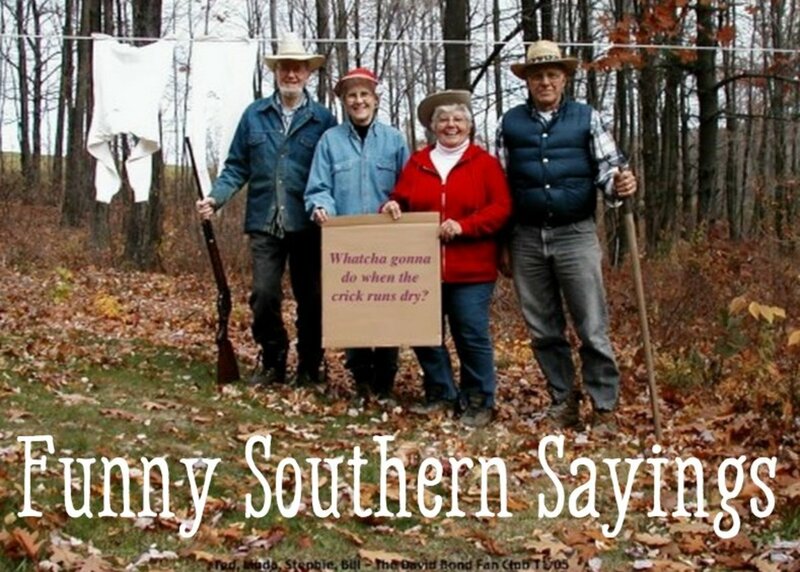 This also offered additional shade for John and Mary Milkovisch when sitting on their front porch. 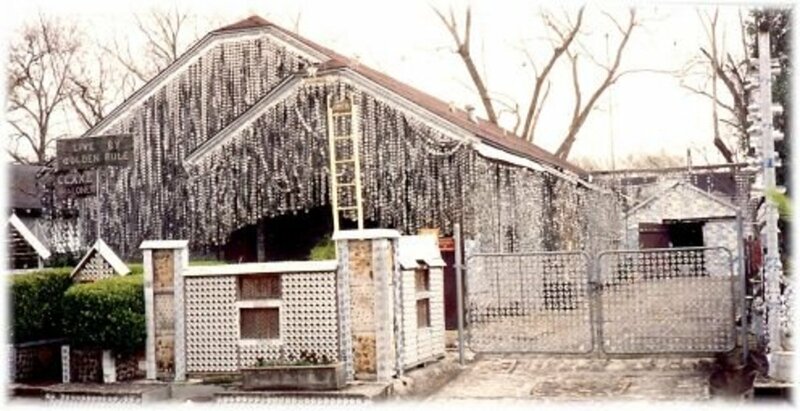 John Milkovisch devoted 20 years of his life to fashioning what is now known as the Beer Can House. Over 50,000 beer cans are reported to have been used in its creation. The inside of the house was left to Mary Milkovisch to decorate. Apparently, she liked it feminine and filled with bric-a-brac. It must have been quite a contrast between the outside of the house and the inside. As time evolved and word of this folk art house spread, more and more people started driving by and photographing the house. When the Milkovisch’s still lived there, they took this activity in good stride, as did the neighbors. 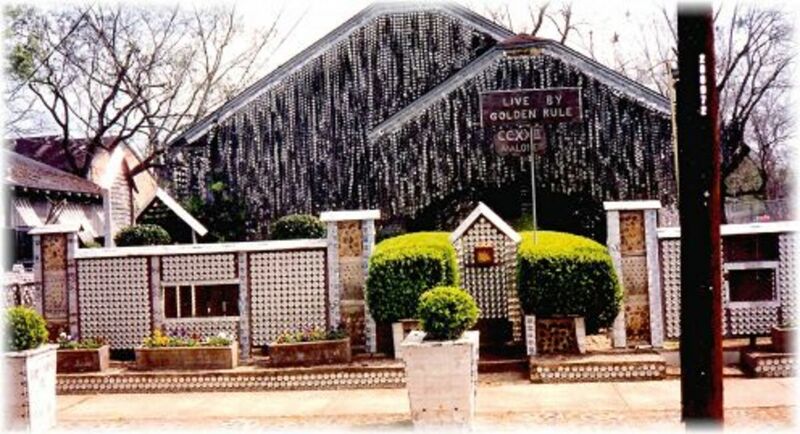 Since the owners are now both deceased, Houston’s Orange Show Foundation purchased the Beer Can House with the intent of preserving this folk art monument. They intend to maintain the house in as close to its original shape as possible. In my husband's and my last visit to this unique folk art attraction, the Milkovisch’s grandson was there leading people through the house and yard and answering people’s queries about his grandparents. The house is now open for weekend tours on Saturdays and Sundays from 12 to 5 PM, weather permitting. On major holidays, the house is closed. Costs for touring the house and grounds include viewing a film inside of the house plus exhibits. Adult tickets cost $5 per person and children under 12 have free admission. For special group tours or private rentals, contact the Orange Foundation at 713-926-6368. Many people merely drive by this eye-catching attraction and photograph it from the exterior, which is what we used to do with visitors to our city prior to knowing that it was open on weekends. Recycling to the Nth Degree! John Milkovisch took recycling to a whole new level. 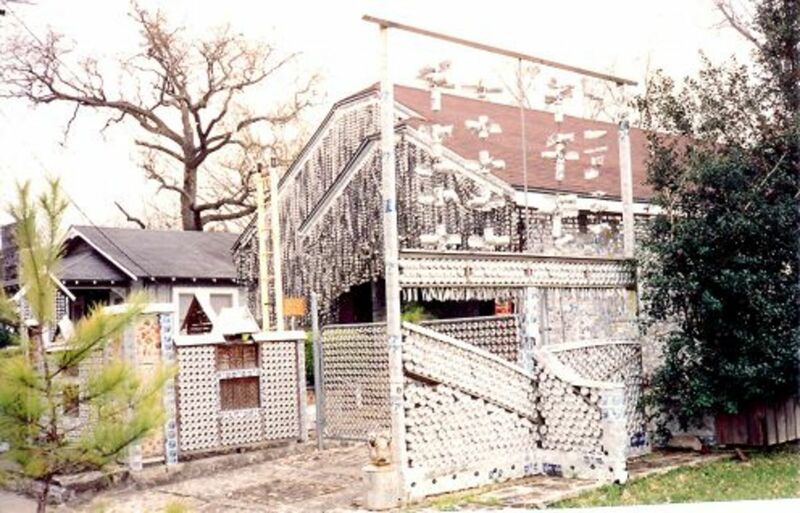 As you now know, he used every type of object besides his beer cans to create this now famous Beer Can House in Houston. We get the biggest kick out of our showing our visitors this site. Of all the wonderful things in and around Houston, Texas to enjoy and photograph, without exception the Beer Can House always goes home with them as a photographic memory of their trip here. Be sure and visit this attraction for some recycling ideas of your own. You just might create your own unique masterpiece! What do you think of the way John Milkovisch did recycling? I think that it is ingenious! I think that it is a bit crazy! I do my recycling in other ways. Whether it is ingenious or crazy I think that it makes a great tourist attraction. Yes, for years we were only able to view the Beer Can House from the street, but now people can see the interior, backyard and what is in the garage. It is well worth the price of admission. I actually saw a little piece about this on TV but didn't realize it was now open for tours. Putting this on the bucket list then. You are undoubtedly correct. I am sure that at least some of his neighbors were not thrilled with his house project. Just the extra traffic on that street would have caused consternation for some because it definitely draws attention to that area. One has to admire the creativity of this project, but his neighbors really get the prize for their patience with it! His attitude of something should be done with everything is to be admired. I can understand your being at a loss for words when it comes to the Beer Can House. What you related about the boat race and there being no water is even more interesting! That would be fun to watch! I am honestly at a loss for words with this house. On one hand I like the idea but on the other I think it's a little wacky. Still, in my homeland, in the Northern Territory, they make pretend boats out of whatever they can find and have a boat race down the river. A dry river. With no water at all. They just pick up their 'boats' and carry them, Flintstone's style. It's an odd world we live in, aint it? A non-profit entity now owns and operates the Beer Can House so I am not sure that his grandchildren benefit from it except to say that the legacy of his inventiveness and the fact of his creating such an attraction will always be with them. Glad that you enjoyed learning about John Milkovisch. What a wonderful hobby that left a legacy to his grandchildren. He unknowingly started a business for them. How nice that they will always have that as a monument to John, who sounds like a very interesting character indeed. The Beer Can House certainly draws interest from people because of how different it is. I would love to see photos of that house built from formaldehyde bottles! That must be an amazing site! Wow indeed. It never ceases to amaze me the creativity (or compulsions) of some individuals. Near where I live there is a house built from vintage formaldehyde bottles. I have to say that these creations are beautiful in their very own unique way. The Beer Can House is certainly out of the norm but certainly attracts visitors. Yes, we did tour the inside of the house. There are some rare beer cans on shelving in the house along with other items of interest. I think that Mr. Milkovisch's efforts on transforming the outside of his house and yard took many years to complete. Apparently, his garage was his storehouse and he flattened most of the cans which would have taken up less space until he started using them. What an interesting article and an interesting house! I can't imagine how anyone could have collected that many beer cans or where he stored them before beginning to build. Did you get to see the inside of it? I'm curious what it looks like. Thanks for writing this. It would indeed be interesting but I doubt that it would pass muster in most home owners associations agreed upon rules. That is also why places like the Beer Can House draw interested viewers. It is unique. It would be tempting to ask for a variance to do something like that just to see the reaction. Home owners associations definitely have set rules aimed to primarily protect home values and keep more of a consistent appearance in the neighborhoods if they are operated well. A Beer Can House would not meet those standards in most cases. That is true. The advantages and disadvantages of a HOA. Disadvantage - you never get anything that resembles art in your neighborhood. Advantage - you don't find yourself living next to a dump. Houston has no zoning laws. Unless a person lives in a subdivision where there is a home owner's association and rules regarding what is and is not allowed, this can happen and often does. Given the part of town where the Beer Can House is located there was undoubtedly no HOA in place when this happened. I don't think an HOA would allow this to happen these days. So glad to know that you enjoyed learning about the beer can house located in Houston. That video at the end is a good one! Thanks for your comment. Hilarious and amazing! I love this eccentric art and enjoyed this article and the video you added to it, Peggy. Good for you John! This beer house is really something I can't imagine the patience it must have taken to construct this house. Thank you for the wonderful photos. My goodness, I had no idea there is so much to see in Houston. That would indeed have been funny to see Mr. Milkovisch on the beach with a faucet stuck into the sand pretending that water could have come out of it. He must have had a great sense of humor! Thanks for the visit and wishes of angels. Hope they are surrounding you today. Mr. M sounds like he was quite a character...how funny it would be to see folks trying to get some water at the beach!!! This really is quite something...who would have thought of doing that....take care of you my friend. Angels once again are headed your way ps. Yes I would have to agree that John Milkovisch certainly did not march to just anybody's drummer. 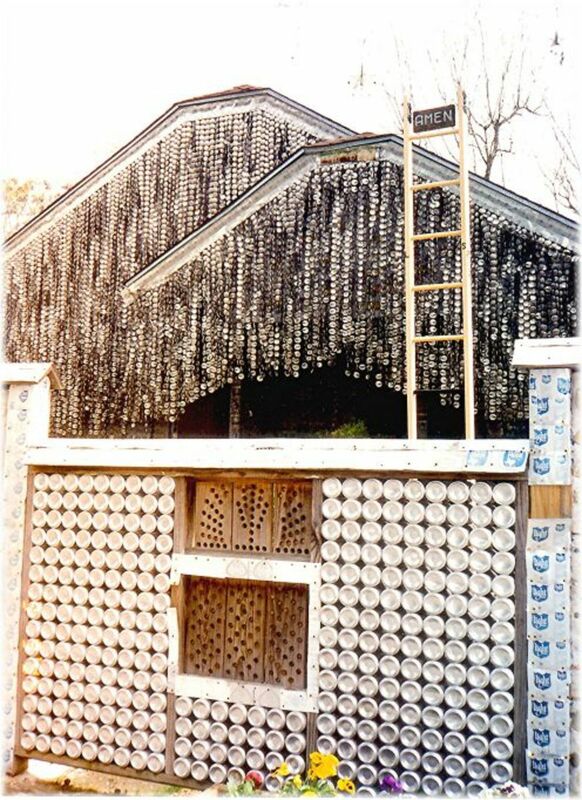 He did his own thing when creating his beer can house. Well isn't this cool! He's creative and inventive, great traits to separate you out from the crowd that's for sure! I am unaware that any comments have been eliminated from this post. Perhaps you are thinking of something other than the Beer Can House. Houston has its share of folk art oddities that can be fun to visit. Definitely worth seeing as it's so unusual and imaginative. Know I've read and commented on this previously, but it looks like all but a very few of the comments have been removed with no means to access them. I always like to read the comments on an article too and I miss the ones that had to have been on here. It seems that HubPages has no end of ideas for taking things away from writers who help pay their salaries even if our own are too minimal to mention. I used to have 15 accolades under my name and now there are only 8. I guess the ones taken away weren't worth much to begin with if HP doesn't deem them worth leaving. It's like deleting articles that aren't performing well. All the views those articles received are wiped off the record as if they never happened. They are removed from the total number of views a writer's work has received and HP is basically saying they never happened. There are an awful lot of negatives on this site. As a Psych major I've learned that the carrot usually achieves more than the stick, but I guess the stick is more satisfying to the one who wields it. This is an excellent an interesting article and I enjoyed revisiting it! The video truly portrays this beer can house in a manner that still photos cannot capture. Glad to know that you watched it. John Milkovisch did leave a lasting gift to Houston as well as visitors to our city. Thanks for your comment. He drank a good bit of it but I never heard that he had a problem. It took him many years to accumulate all of those beer cans. He probably had neighbors and friends join him and I am sure all of those cans would have also been saved for what turned into a monumental project. If your travels ever take you to Houston you will now know where to go to see this unusual attraction. There certainly was creativity involved in fashioning this house and yard. This man was an eccentric, all right. Ingenious and yes, brought many tourists, but he was a bit like you and I, in the sense that the passion and sense of purpose never left him. I think he was a genius! Born for this purpose; with tremendous innovative skills. The video is amazing! A great gift he left to Houston. Extremely cool! Did he personally drink all of that beer? Makes you wonder whether he had a problem. I admire the creativity and dedication involved in decorating the house. I enjoyed looking at your photos and reading the description. If I'm ever in Houston, it would be fun to visit the house in person. That is what I would have voted with regard to the Beer Can House. It definitely is a draw for people once they know about it. Peggy, I had never heard of the house until I read your article. I must say that if I get back to Houston, I'll check it out. I enjoyed the article and voted in the poll. I voted, whether it is ingenious or crazy I think that it makes a great tourist attraction. Those wind chimes made out of parts of the beer cans definitely make a sound when the wind is blowing. Makes a lot of noise in the wind, probably keeps all the birds away. I agree with you. The Beer Can House is quirky but also "American" in nature. Glad you liked reading about this. This definitely rates the word "wacky" but the Beer Can House is fun and definitely draws interested parties in viewing it. As quirky as this is, there is something terribly charming and it seems about as "American" as you are ever likely to see. I bet he had a great time collecting! Running a Nik Nak store years ago I know how much things like this interest people. The wackier the better usually. Don't think I would want one for myself but would love to see this close up! 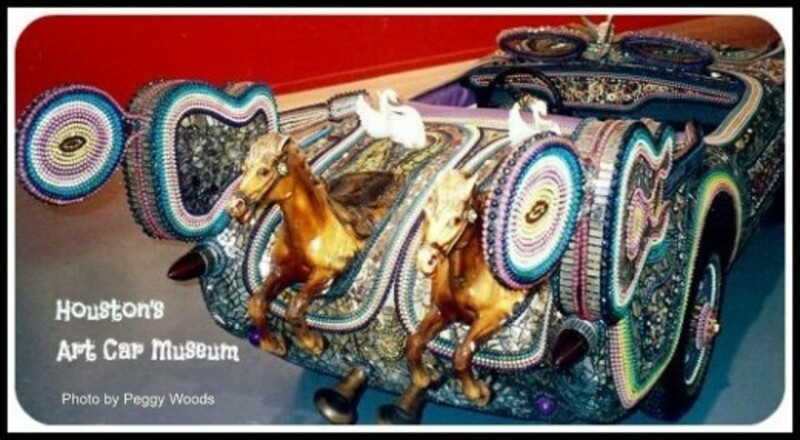 If you get to visit Houston you will now know about one of more unusual folk art attractions. Glad to know you liked learning about this. I am sure some of his neighbors thought that he was a bit crazy when he started plastering his house with flattened beer cans. It has now become quite the folk art attraction in our city. He certainly did a nice recycling job! This is fascinating! 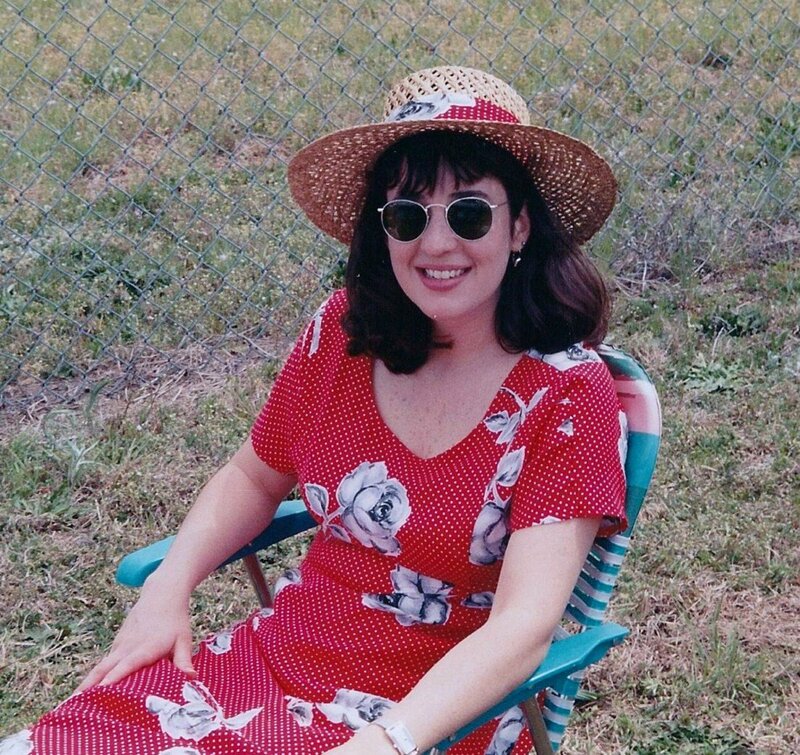 I hope I am in Texas someday soon!!! What a great idea. He brought together everything he loves and made a fascinating work of art that now everyone can enjoy.